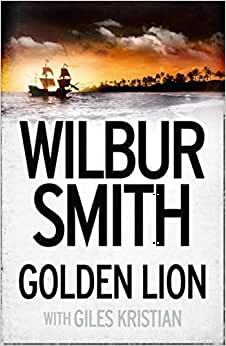 Worldwide bestselling author Wilbur Smith will take you on an incredible journey on the thrashing seas off the coast of Africa in this glorious return to the series that made him who he is: The Courtney series. Start reading The Golden Lion on your Kindle in under a minute. Wilbur Smith was born in Central Africa in 1933. He was educated at Michaelhouse and Rhodes University. He became a full-time writer in 1964 after the successful publication of WHEN THE LION FEEDS, and has since written over thirty novels, all meticulously researched on his numerous expeditions worldwide. His books are now translated into twenty-six languages. the heroine so uplifted in the story suddenly becomes incapable of defending herself? As a reader who grew up on Wilbur, a re-read of this book was a surprise for me. Action packed & a plot that moved from the sea to land as our hero found, lost, found, lost & found his love. So all the adventure remained but as an older reader the underlining story-line was weak by todays standard. However, a Wilbur Smith book is always worth a read. 5.0 out of 5 starsAnother 'Golden' Classic. 5.0 out of 5 starsAnother excellent novel from Wilbur. Essential reading. Top marks again Wilbur. AAA+++ - Thoroughly recommended. This novel compliments the Courtney series to perfection. Looking forward to the next novel in this series. 5.0 out of 5 starsGreat Wilbur work! Tense, moving flowing. A great story line that builds up, is real and keeps you engaged. Historical novel based on great research, including romance in a war like setting! 5.0 out of 5 starsGreat as usual. Wilbur Smith keeps the reader 's interest in the fate of the hero right to the end as usual. Not his best. O.k. Though I was looking for something more like the earlier Courtney books. He has started using sleaze to try and keep our interest. Lost mine.